From his lofty vantage point atop Mount White, Deserata peered through the dappled layers of sunlight and took in Mythlewild's vast landscape. Autumn showers left the meadows clean, and the mountain air crisp and delicious. 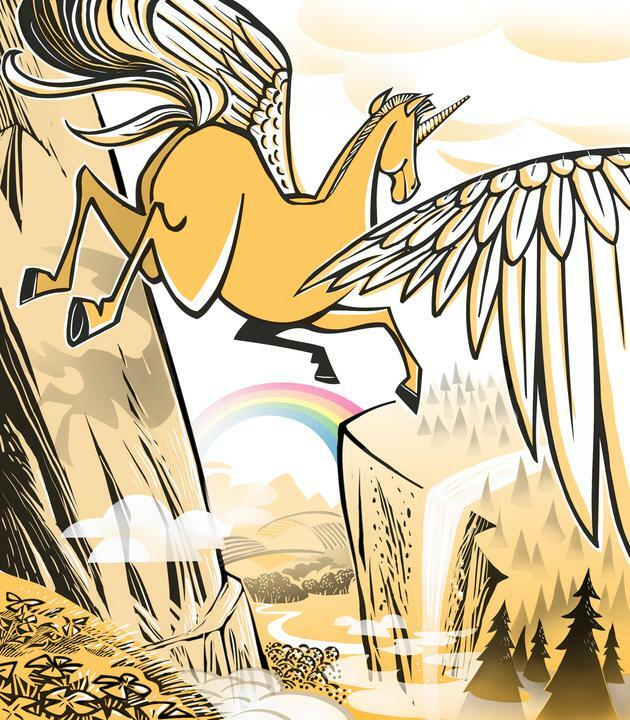 The great winged unicorn filled his lungs with an invigorating slice, and soared into the sky before descending into the lowlands where the morning's air was not so welcoming. He was an alacorn, a beast of providence, favored by immortals, and chosen by them as warden over their estate. It was a responsibility Deserata took to heart and he relished every opportunity to drop in on his devoted subjects, no matter what their mood.